Staying on top of daily chores around your home is a big job. Maintenance and repair jobs are constants. Now add in the California earthquakes and aftershocks. And who can keep up? So we offer a annual home earthquake safety inspection. 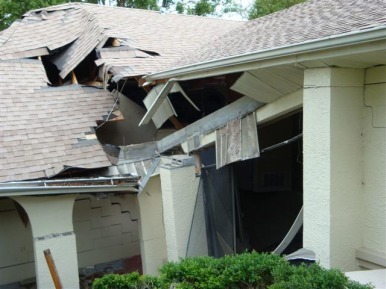 We will create a detailed home earthquake safety checklist. Our checklist will be tailored to your home and help guide you to a safer and more secure home. Damage from earthquakes is not always visible. Foundation, gas piping chimneys and other building system are put under intense strain during even the smallest movements. Putting off inspections after an earthquake only prolongs the issues at hand. It's far less costly in the long run to have your property inspected now. To save time and money, plan ahead for the needs of your home. Click Here For a Free Inspection Quote! We get asked all the time if we will do a re-inspection once all needed repairs are complete. We are always happy to re-inspect any property. Obviously, in a re-inspect, a wise inspector uses defining and exclusionary language. Also, a number of inspectors just flat will NEVER sign off on any electrical, plumbing, roofing or structural work unless invoices prove that all of the work was done by a qualified and licensed party. At California Inspection Authority that policy applies regardless of how good the work might look on the surface. This kind of strict, and non-flexible policy, is always frustrating to the sellers or the realtors involved. Regardless, agree or disagree with this kind of policy, now you know why home inspectors feel that they have extremely high liability during re-inspections. Home inspectors are generalists, who know a fair amount about many different systems. The inspector is not, usually, an expert on any one area. Inspectors work hard to detect problems but then will, to make sure the repair is done correctly, refer work to specialists: licensed plumbers, electricians, contractors or HVAC technicians. That way the component or system called out as faulty, and anything more complicated in that system, will be detected and repaired by the specialist and that leads to an extra margin of safety for the consumer.